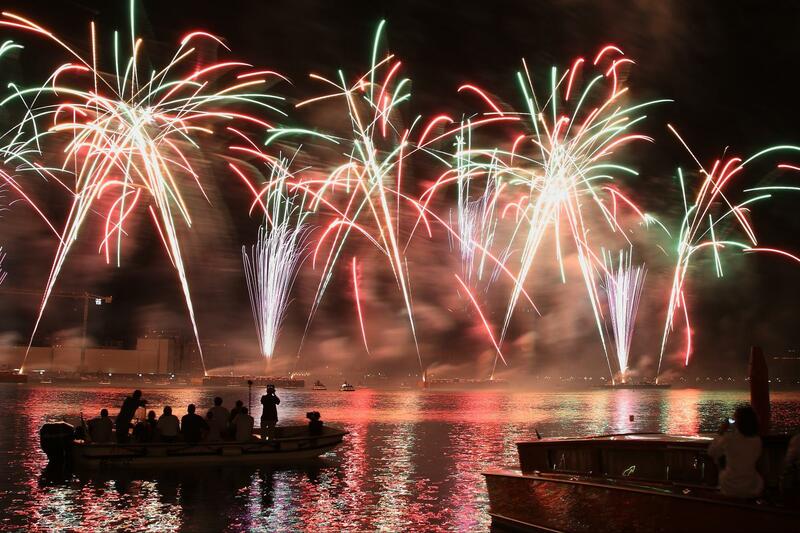 You will admire the wonderful fireworks display which take place every year in Saint Mark’s basin, just in front of the worldwide famous Saint Mark’s Square. The only boat party that lasts until morning! 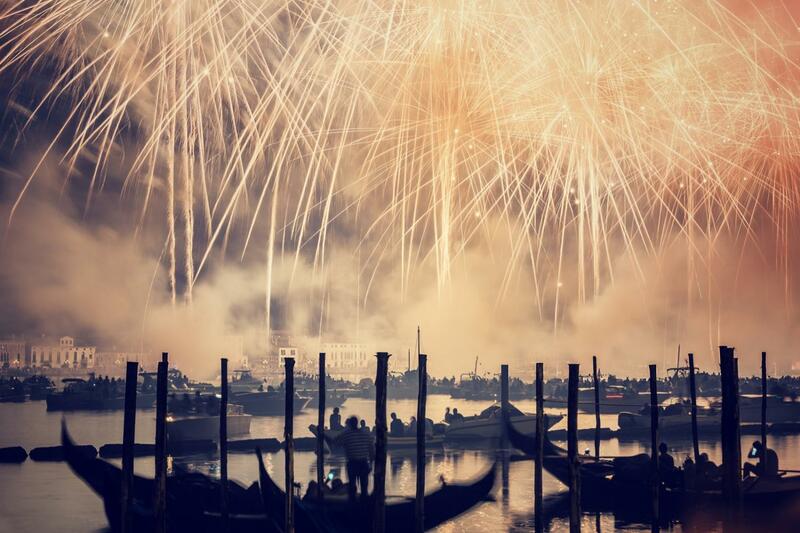 As is tradition since 1577 the third Saturday of July (the 20th of July in 2019) Venice celebrates one of the most important of its traditional festivity: the ‘Redentore’ ; it remembers the end of the terrible plague that in 1575-77 killed almost a third of the inhabitants of the city. As a vow for the end of the plague, the Venetians built, a solemn temple designed by Andrea Palladio, one of the most celebrated architect of the italian Renaissance in the Giudecca island. 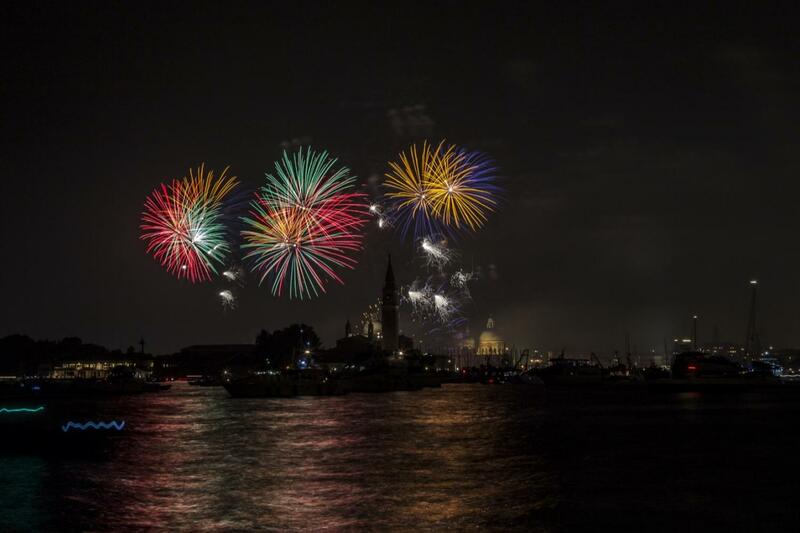 Venetian people celebrate the Redentore on boat in Saint Mark’s basin with music, food and friends. 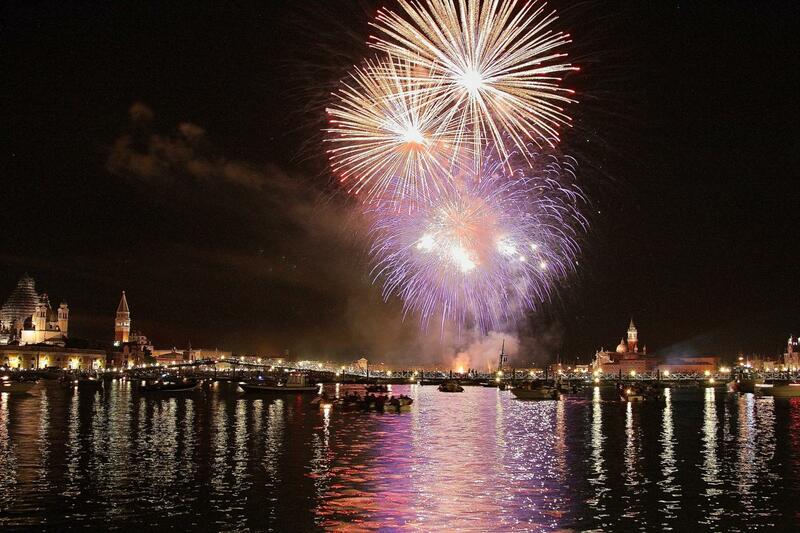 Thirty minutes before midnight majestic fireworks starts, and you will enjoy them in pole position from our boat. 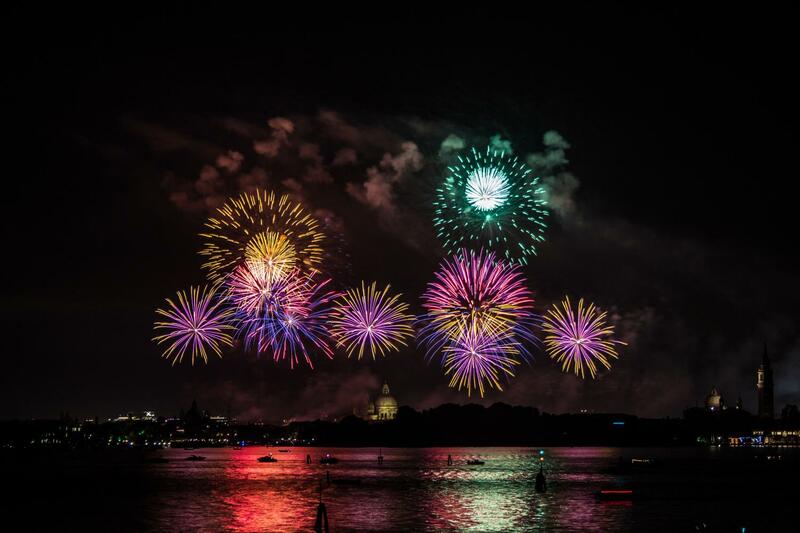 There will be music, by the best lagoon DJs, Italian buffet and open bar all night long. Boarding will start at 6 pm and end at 7 pm in order to reach on time the best position in the Saint Mark’s basin, right in front of Saint Mark’s Square, to admire fireworks. From half past midnight until 1 am our boat will dock at Saint Mark, so that those who desire to leave could get off the boat. On our boat there will be two dance floors!!! THE EVENT IS CONFIRMED IN CASE OF BAD WEATHER! CANCELLATION POLICy: There will be no refund once your booking has been confirmed. Due to the high requests for this event, we are forced to establish very strictly cancellation policies that do not provide any refund if you cancel your reservation.